We reported The Great Jeans Apocalypse was officially underway when new designer Thibaut debuted no pants-pants (aka thong jeans) at Tokyo Fashion Week back in October. 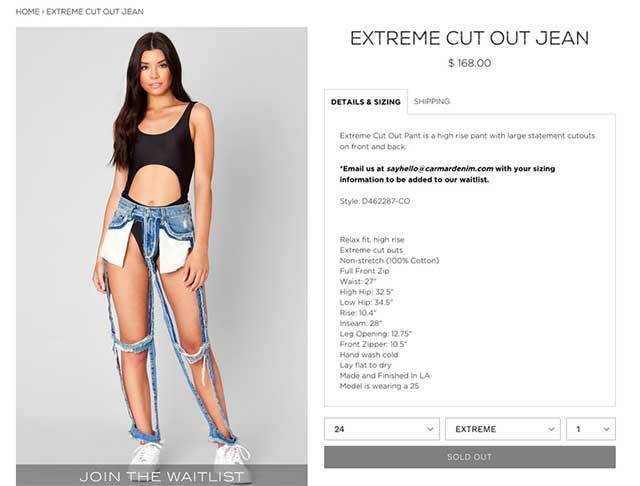 Understandably, the internet quickly lost its cool over the extremely ripped and deconstructed jeans. For those who thought the jeans (or lack thereof) were just a runway gimmick, think again: LA-based brand Carmar Denim created their own thong jeans knockoff—and they're already sold-out. Yes, I repeat: a pair of $168 (P8,600) denim seams now has a wait-list of people who want to buy them. Listen, when it comes to jeans, you do you. 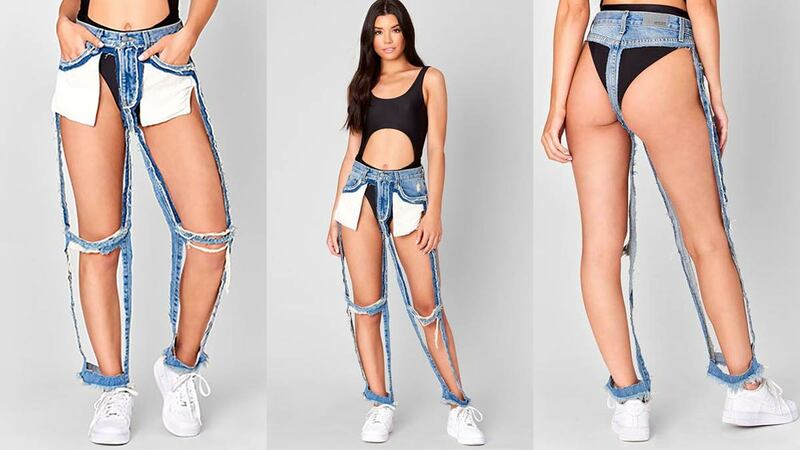 But I'd just like to say, it's going to be super awkward when everyone shows up to the apocalypse wearing the same pair of thong jeans. Just a little something to think about.